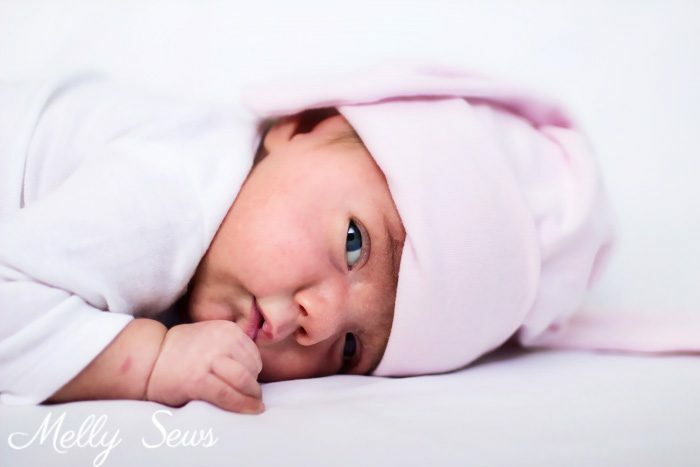 Hey y’all, welcome to a month of sewing for babies and mamas! 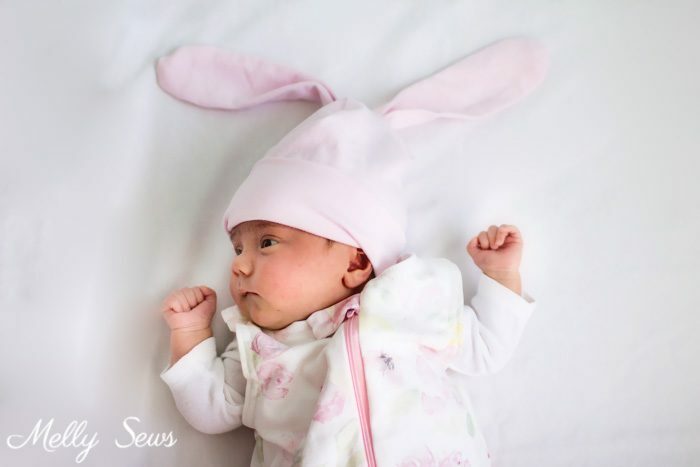 Today we’re going to be sewing a bunny hat. And though I’m showing it on my new baby niece, this can be made in any size from newborn to adult. Isn’t she just the sweetest? 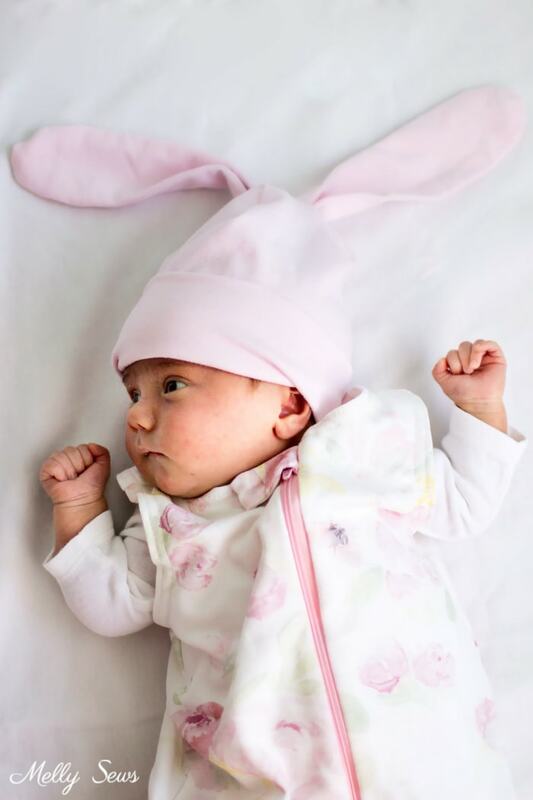 I think this is a great stage of life to have a new niece around; my kids are old enough that I’m out of the weeds of babyhood/toddlerhood and I can just enough this baby. That wasn’t the case with my other niece and nephew; they were all born right on top of each other with my kids, and though I love that they’re a great group of cousin friends now, when all of us (my sisters-in-law and I) were in small child survival mode it was hard to appreciate the other littles when I was exhausted from my own. 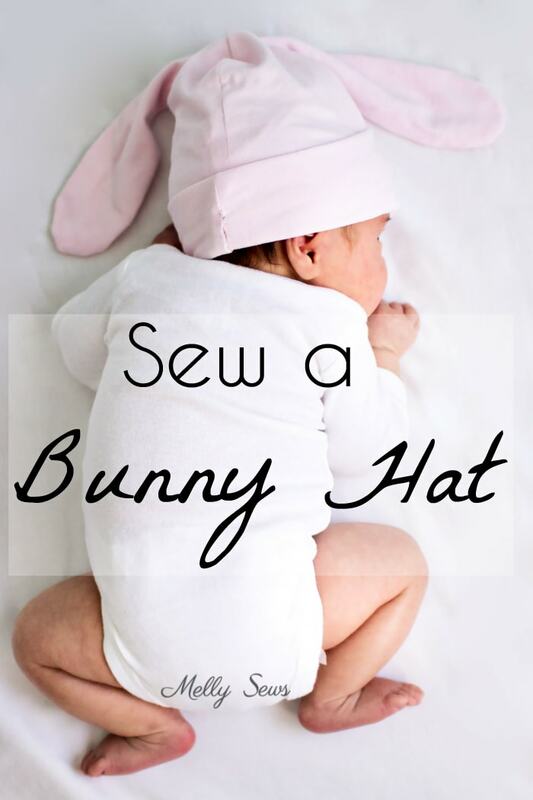 Want to make your own bunny hat? This starts with my Slouchy Beanie Hat pattern, which you can either buy here or see this post to draft your own. Next, in order to make this you’ll need the add-on ear piece which you can download here. So cut one hat piece and 4 ears. I’ve got a video of making these below, which you can also watch on YouTube here if it won’t load. Place 2 of the ears right sides together and stitch around the curved edges. Repeat with other ear. Clip the curve, then turn the ear right side out and press. Repeat with the other ear. Pinch each ear, then pin them into the dart cutouts on one end of the hat. 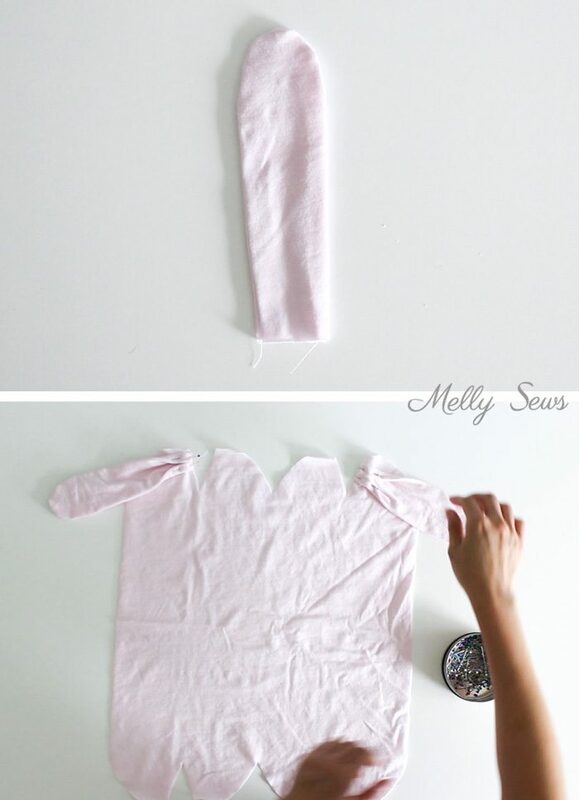 Fold the darts with the ears sandwiched in between and stitch the darts. 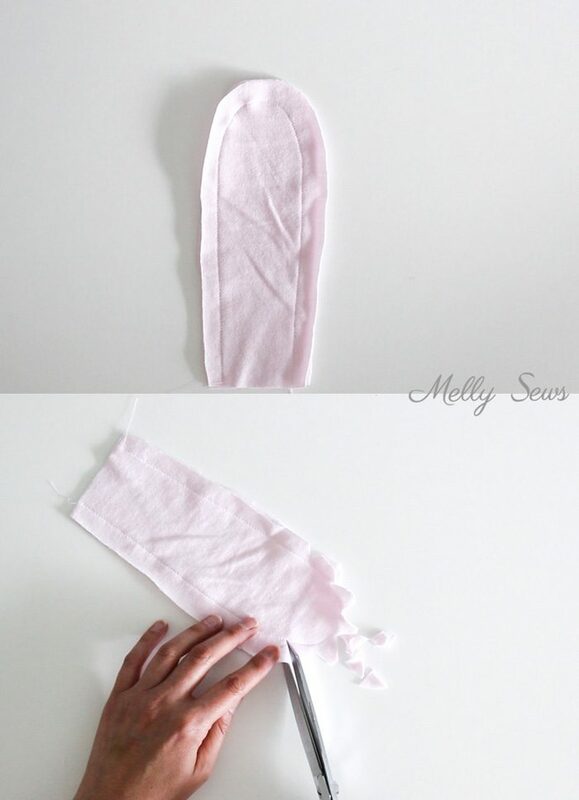 Pin the ears out of the way, then fold the hat in half to stitch around the outer edges, leaving a gap for turning. Match the dart seams. 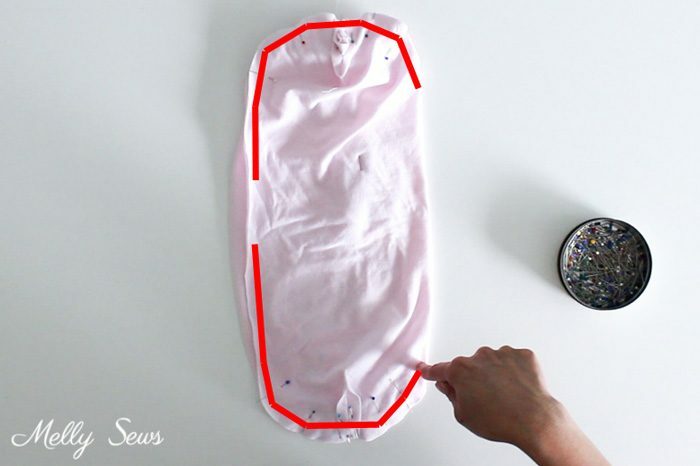 Turn the hat right side out and stitch the opening closed using a blind stitch. 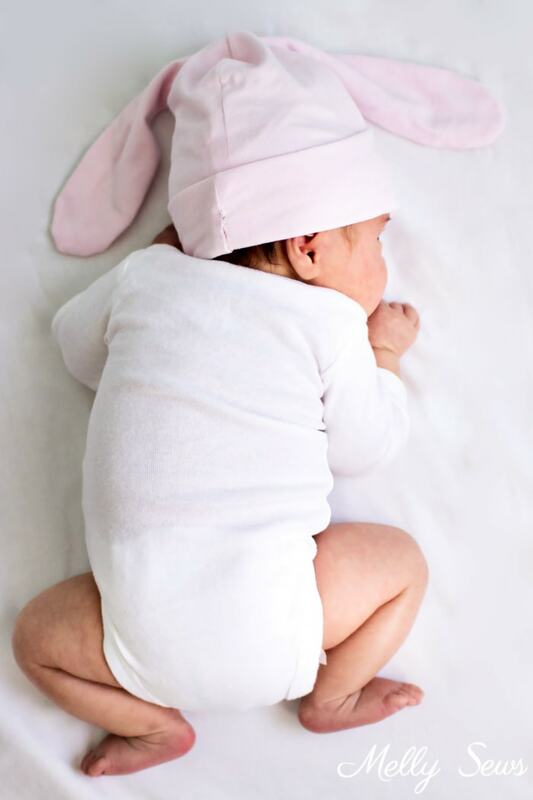 And then put the hat on your little snuggle bunny!